My goal was to have a working skeleton of a JEE application with Wicket web framework and EJB 3.1 directly injected. All that running on Jboss AS 7. The project's configuration for Jboss AS is simpler, than the configuration needed for Jetty or Tomcat. Thanks to all the advantages of the Jboss's container. The sample code presented below is based on Wicket's HelloWorld application. Than I added dependencies ... wicket core, cdi and seam conversation (spi and weld). You don't need to add weld-core and stuff libraries like in Wicket's examples, because those are already in Jboss AS. "javax.enterprise.context.ContextNotActiveException: Conversation Context not active when method called on conversation Transient conversation" exception. Therefore it is highly discouraged. Web.xml is also easier on Jboss. Because you don't need to deal with weld's activation, since it is managed by server. Therefore web.xml looks exactly the same as in any other wicket application with or without CDI. And now the final and the most important step. 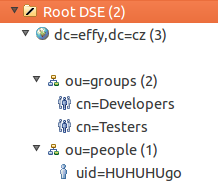 The CDI's initialization in the application. The Devil lies in the details. The problem is in acquiring the BeanManager, because it is provided by the application server. Thus the only change of the code is done in the main WebApplication class. This is all you need to do to be able @Inject EJBs into your pages. Wicket's CDI integration on Jboss AS 7 is nothing complicated, but it can prove to be a bit tricky. Just remember to add all dependencies needed and modify the way the BeanManager is acquired.